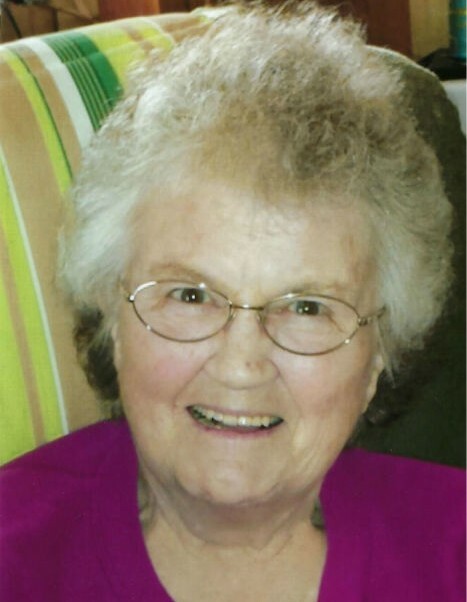 Bettyjean Marie Rodgers, age 86, of Escanaba, passed away early Monday morning, February 11, 2019 at Christian Park Healthcare Center in Escanaba, surrounded by her loving family. She was born on October 30, 1932 in Escanaba, the daughter of William and Ruth (Siverstein) Rodgers. Bettyjean grew up in Escanaba and attended St. Joseph Catholic School. After the birth of her daughter, Bonnie, the two had a special mother and daughter relationship and were inseparable. She was employed by Escanaba Steam Laundry for over 60 years until her retirement at the age of 84. Bettyjean’s daughter and grandchildren were the light of her life and enjoyed spending time with them. She especially loved little shopping sprees with Bonnie. Bettyjean had such a fun personality and always had a joke or a story to tell. She was an avid Green Bay Packers fan and looked forward to her Sunday’s watching them play football. Bettyjean was a loving mother, grandmother, sister, and friend who will be deeply missed. Bettyjean Marie Rodgers is survived by one daughter, Bonnie (William) Smith of Escanaba; 5 grandchildren, James Bergstrom (Elaine), Patricia (Dusty) Finlan, Lisa Finlan (Ken), Doyle Hammons (Jen), and Brittany Smith; 15 great-grandchildren, Kristin Bergstrom, Rachel Bergstrom, Heather Bergstrom, Justin Finlan, Jason Erikson, Noah Vertz Finlan, Hailey Ellis, Brooke Finlan, Amaya Ellis, Robert Coleman III, Alex Arcos, Brianna Hammons, Leo Hammons, Damian Hammons, and Brayden Forgette; one brother, Jon (Connie) Rodgers of Saginaw, MI; and several nieces and nephews. In addition to her parents, Bettyjean was preceded in death by brothers, William Rodgers, Dennis Rodgers, and Robert Rodgers; and one sister, Marlene LaChance. Visitation will be held from 2:00 p.m. to 4:00 p.m., Thursday, February 14, 2019 at the Anderson Funeral Home in Escanaba. Family remembrances will be shared at 4:00 p.m., Thursday, celebrating the life of Bettyjean in the Anderson Funeral Home Chapel. Burial will take place in Lakeview Cemetery.